A long time ago, I took a course through the Institute of Children's Literature. It was a correspondence course, so I was wary. I was also sloth-like in my progress, not taking the assignments (or deadlines) very seriously. Twenty years later, I look back at my young, unpublished self and shake my head. I have gone on to take a second ICL course, the assignments for which became the backbone of my second published book. These folks know what they are doing, and they offer guidance and support to their students long after they have "graduated." (Check out their website for more information, and for a free issue of Children's Writer). They also offer writing contests. Their latest is the Kindergarten Story Writing Contest. If you've ever had the desire to write a story for a five-year-old, here's your chance. I entered a few years ago, and let's just say that, published or not, not everyone can write well for kindergarteners. In the interest of full disclosure, I need to tell you that by posting this, I will be entered in a drawing for - you guessed it - children's books. But to be entered, all I had to include was the link.I didn't have to tell you what I think of ICL, or that my entry in this same contest was embarrassingly bad. (That's just gravy). But as a writer who feels that ICL was an important stepping stone on her career path, I though you should know. 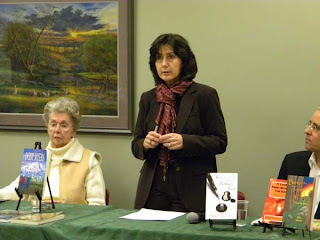 First off, congratulations to Susan on her news about Beyond the Gate becoming available on Kindle. No matter how many times a writer has been published, the news of a new book or a new format never gets old. Just like life, publishing has a life cycle. Two weeks ago, I found out that my first book, Acting Assertively had "sold out." Sounds exciting, until you realize that in the world of educational publishing, that means "out of print." I've begun the process of getting the rights back, and am now beginning the new adventure of determining the next step in the life cycle of this book. 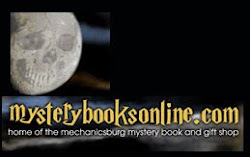 So, I'm asking my fellow Susquehanna Writers and the readers of this blog: have you ever had a book go out of print? What did you do next? And what was your experience like? 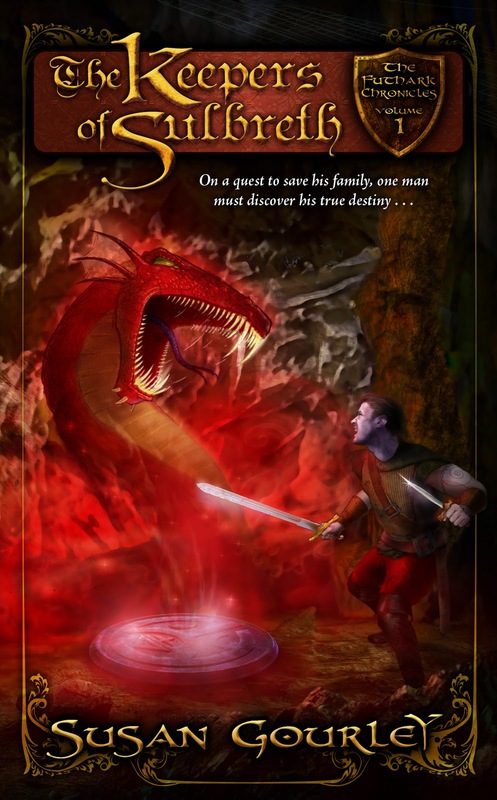 After many delays and lots of pushing and complaining, Amazon finally made Beyond the Gate, Book #2 of The Futhark Chronicles, available for Kindle. I learned some things during the last few weeks debacle. Sometimes books from independent publishers get pushed to the back of the line by Amazon so they can get the books from the big publishers ready first. It's been quite frustrating. Enough whining. 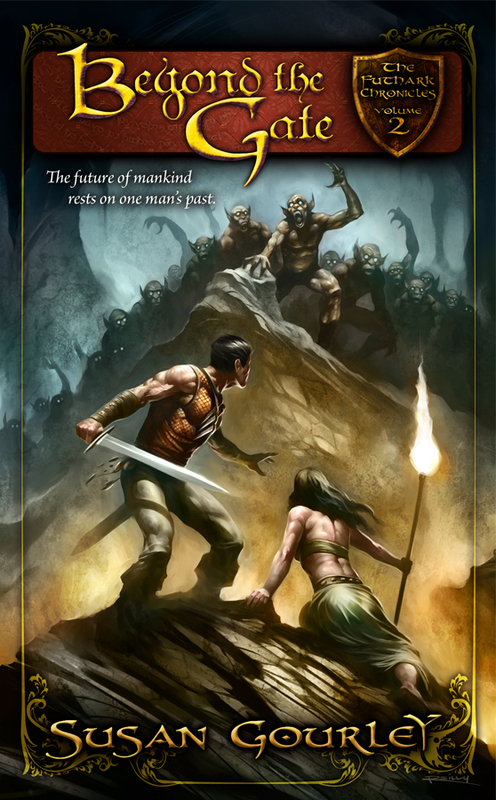 Beyond the Gate picks continues the fantasy adventure that began in The Keepers of Sulbreth. Cage Stone and Sabelline Shelton step into the dark of the cave system they must negotiate to reset the magical seals keeping underworld demons from invading their homeland of Futhark. From the first step nothing goes as planned. You can read the first review for Beyond the Gate at my blog here. I hear 2011 is the year speculative fiction takes over the bookshelves and the visual medias like TV and movies. Get a head start with The Futhark Chronicles. 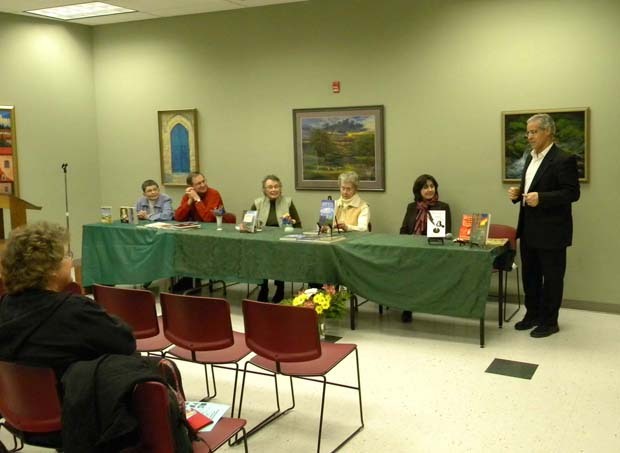 Thanks once again to the Grove Family Library in Chambersburg for hosting Author Night last night. Luckily, Mother Nature and Old Man Winter were on good terms, allowing easy travel. :) I had a wonderful time speaking with attendees. Below are some pics from last night's event, which featured local authors Ken Gibble, Eileen Graham, Valerie Malmont, Cate Masters, Dody Myers and Mike Silvestri. 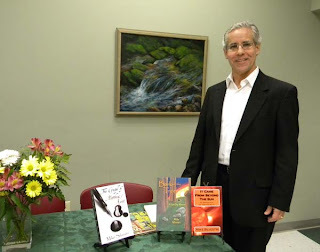 Mike Silvestri spoke about his authorial journey. Lucky attendees were able to purchase Mike's books. 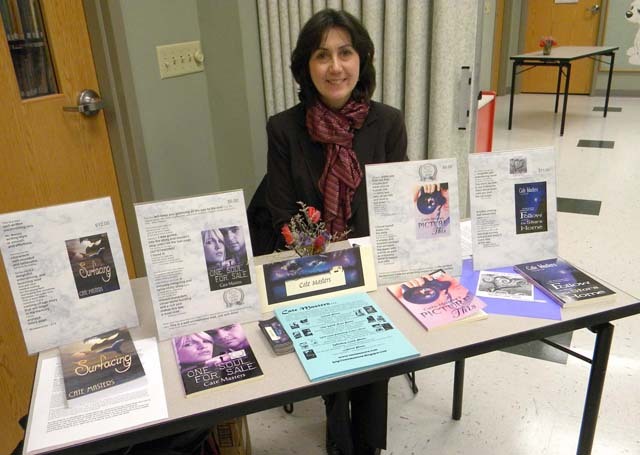 I also had my books available. And also spoke about my writerly origins. Research indicates that the United States has fallen well behind other nations in science, technology, engineering, and math (STEM). The current economic climate also necessitates the re-prioritization of tax dollars. The resulting reaction at the school board level is to sacrifice programs viewed as “non-essential” such as the arts in favor of STEM. As a conservative, I can sympathize with this reaction. Tough decisions need to be made, however care must be taken to avoid making misguided, snap judgments. All of us possess different talents, gifts, and skills. In my view, a key objective in elementary education is to help children identify what makes them unique as individuals and encourage an appreciation and further development of their distinctive gifts. I believe this is important to a child’s emotional development and self-esteem. Children guided by skilled educators along with involved parents will eventually gravitate toward fields of study in which they excel and have an interest. My point is that children need to be exposed to all educational disciplines during their formative years. Elementary education is not the appropriate place for cutting any discipline be it STEM related or the arts. This is where a child's education needs to be well-rounded. Not all of us can become scientists or engineers. Without a doubt, our way of life depends on these individuals. We need to encourage young people who demonstrate skills in the hard sciences to follow that path. On the other hand, not all of us can become concert pianists, best selling authors, or great artists. It is equally important for us to identify and encourage these children, too. For life would be empty without the arts.